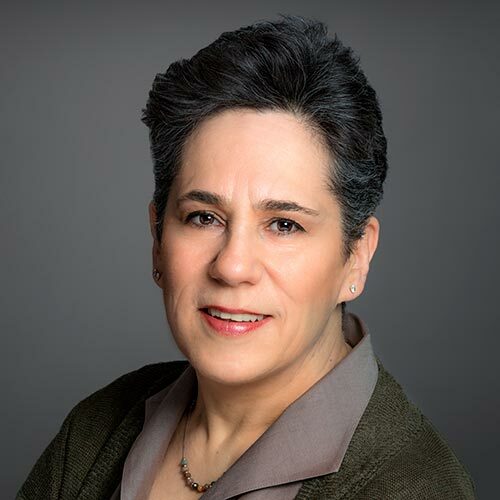 Tamar (Tammy) Gershon-Hayon | Wohlfarth & Associates, Inc.
Tammy has lived on the upper-west-side of Manhattan for 30 years. She and her husband have raised their two children here and love exploring the city’s beautiful architectural gems. Tammy served on the board of her coop building, both as a member and president where she closely interacted with architects, contractors, lawyers, managing agents and shareholders while being closely involved in major capital improvement projects. Before taking a break to raise her children Tammy taught software application courses at a local college. She prides herself on being a good listener and attuned to customer needs. These qualities help her instill a sense of confidence and trust. Tammy helped us with both selling our apartment and buying another one. And she was superb on all accounts: she was professional, knowledgeable, and market savvy. She was pleasant and a joy to interact with. She has amazing work ethics—she was available to us even while on vacation abroad—and even helped us with getting the best mortgage deal in town. I would engage her services again in a heartbeat. It was a total joy working with Tammy in both selling our old apartment and buying a new one. Tammy worked tirelessly to help us find the right place in the right neighborhood; she advised us expertly on every aspect of the pricing, showing, and negotiations. She kept our morale up when things got frustrating (let’s face it, this is NYC!). Even when she was out of the country, she kept in contact with us. This was the third time I have bought a home and it was by far the best experience – thanks to Tammy! In the fall of 2017, my husband and I approached Tammy with a completely unrealistic and aspirational request: would it be possible to sell our apartment and purchase a larger one that would fit the needs of our family? It felt like a pipe dream. We were not actively searching and a gem appeared when we least expected. Tammy took this unattainable dream and made it a reality. She immediately mobilized, explored our options, and started the process for us to quickly execute two real estate transactions on the upper west side. Both transactions closed by January 2018 and Tammy was THE force that made it happen. Tammy is responsive and incredibly detail oriented. A keen attention to details is critical to anyone looking to move quickly and cannot be underestimated. This attention to detail also builds respect with building management, other brokers, lawyers, and closing agents. Tammy’s local knowledge is exceptional. In our neighborhood, I cannot imagine a broker more knowledgeable of the buildings, coop boards, and various apartments (size, layout, reconfiguration possibilities, and lighting). Finally, Tammy genuinely cared about our outcomes. She was available all hours of the day to answer our questions and gently nudge us when our responses were delayed. She was honest and helped us to realize our goal. I know that no other broker would have been to accomplish what Tammy accomplished and can make that statement with absolute certainty. Rose far and above her duties. Made my experience so good I wish I had another property for her to handle. Keeping me in constant contact she competed my sale while I was in Europe. I could not have asked for a better experience. Tammy was extremely knowledgeable about all aspects of my co-op sale: pricing, presentation, showing, etc. She was always immediately responsive, and went above and beyond her role as broker with enormously helpful suggestions about an attorney and a moving company. I was completely satisfied with the result, and would give her the highest possible recommendation. Very knowledgeable about the market. Took the time to understand our needs. Very detail orientated. Worked with attorneys, insurance brokers, mortgage lenders, condominium association on a multitude of details with us to assure a successful purchase. We also later rented out the condo and got the same knowledgeable experience, excellent service and top of the market rent.